When I arrived in Switzerland, I paid for my train tickets once every four times, stole candy and drinks in the supermarket, and arrived minimum 5 minutes late to all my appointments. I was quite a bad person. Three and a half years later, I have a train pass, I pay for the food I consume in the supermarket, and I’m maximum 2 minutes late to my appointments. I’m objectively a better person. What happened? Switzerland. And love. From the start of our relationship, Nick’s natural honesty and high values have inspired me to become a better person. Unfortunately, I can’t say much about inspiring him towards the same direction. If anything, I’ve been quite a bad influence to him with my French manners. On our 3rd date, Nick took me to the supermarket. It was that time when it was still fun and romantic to get groceries together. 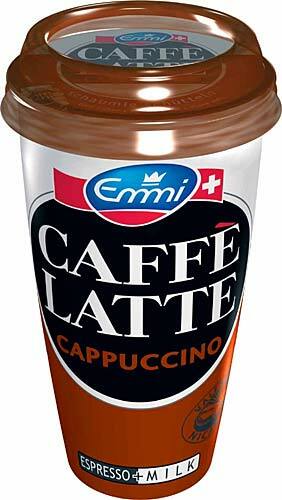 I was thirsty so I took a bottle of iced coffee: a delicious drink that cost 4 CHF. Much more money than I could afford at that time- I was still looking for a job, lived with my dad, and didn’t even have a bank account. Nevertheless, I’m French and my parents encouraged me and my siblings to eat Kinder chocolate bars and candies in supermarkets to have a minute of silence while our mouths were full. At best, they would then hide the empty package in their pocket. At worst, they would ditch the half-eaten biscuit package in some random shelf. So I took the drink and started drinking, casually. QUOI?! Four Swiss Francs for that? Nick stared at me in disbelief and whispered: “Don’t you want to wait until we’ve paid for it before drinking?” How sweetly naive of him. He didn’t realise that I’d never intended to pay for that drink. “It’s okay,” I said, imperturbable. We went on with our shopping and I finished my iced coffee. Nick paid for his groceries and turned to the conveyor, expecting to see my empty drink on it. I still shiver and sweat remembering the look of horror and utter disappointment on his face when he saw me shoving the empty bottle in my purse instead of puttting it down on the conveyor. Nick’s parents had apparently told him that the police would get him if he stole candy. Efficient rearing technique- Nick still believed I could get arrested for stealing a bottle of iced coffee. “Pffff! Zis is ridiculoos!” I couldn’t help answering to his concerns, barely suppressing a laugh. “Supermarkets have a special loss budget in their accounting for food shoplifting. They don’t even care.” I had seen a documentary about it on French TV. My French logic failed to convince Nick; he was disgusted. Luckily for the sake of our relationship, I quickly found a job after the incident and earned enough money to stop stealing. Every time I’ve been tempted to get a Twix bar for free, Nick’s look of disgust flashed back in my memory. I also grew more and more annoyed at all the fines I had to pay for all the train and tram rides I had tried to get for free- I bought a pass. I guess I never had any tangible excuse for being late, except a sheepish: “In France, it’s normal to arrive at least 5 minutes late to appointments!”. I quickly had to learn to be almost on time in order to keep my job. Amusingly, Nick’s high values and natural honesty have been undermined by my French influence. The other day, he wanted to buy hand-sanitizer at the supermarket because he was worried he’d get the plague from sorting out our recycling. As we walked out, I asked him to give me the hand-sanitizer to use it on my own hands. “Oh, I didn’t buy it,” he said, casually. How could the man that had inspired me to become a better person steal a drop of hand-sanitizer in a supermarket? I soon remembered the iced-coffee incident, and started laughing. Then I pestered him about it for at least ten days without respite. While I had become a better person, Nick was slowly becoming French. Too funny and I have definitely had the same thing with my French husband. Like, he has no problem breaking traffic rules like one-way streets and what not which totally freaks me out! I enjoy the glee with which the French break rules – like it is a fun personal challenge! In other news – don’t know what happened but I’ve stopped receiving emails for your posts! I just checked today wondering if maybe you had stopped because of moving! Glad I did! Haha, this story is really fun: I cannot imagine you stealing something! Thanks Judy! I’m glad my bad manners didn’t put you off reading. You know there are definitely times in life when the opportunity to be corrupted..I mean loosen up..can not be resisted!! Maybe it’s an anglophone thing; my parents told me the same thing about stealing candy. When I was really young I cried because I thought I stole a plastic-wrapped plastic straw from 7-11 (when they are for free). I heard police sirens and I got even more scared. Great, funny post! I love getting to know you and Nick through your blog. This would make a great chapter in your memoir one day. I can relate to this a lot. I used to have a lot of “bad” habits and these days I’ve really cleaned up! A la place de la bannière que j’aimais bien avec les fleurs, j’ai maintenant sur mon écran des propositions de chat coquins??? Est ce que c’est l’influence de Dany?! Ah bon c’est bizarre cette histoire de pub, ça apparaît ou exactement? Je n’ai jamais écrit que mon manque de ponctualité venait de toi! Par contre je suis désolée mais le vol de barres chocolatées au supermarché n’est pas une invention! Je ne vois pas comment j’aurais pu me fabriquer de faux souvenirs… On a qu’à demander à Jerome et Flora ce qu’ils en pensent! Trop drôle ! j’adore. Même si je n’aurais pas osé en Suissesse que je suis, avec toutes ces caméras ici et là…En tous cas, c’est bien décrit et je crois voir le regard effaré et effrayé de Nick. Merci Isabelle! Je deviens de plus en plus Suisse chaque jour… Il est temps que je parte! Oh haha…..that was so funny. I definitely didn’t see that last part coming. I was like whaaaaat!? Well, there’s a saying in my mother tongue that if you stay with a person for 6 months, you’d become exactly like them and they’d become like you. This is one very good example. Oh, I can’t be punctual to save my life. Routine bores me. Oh dear, how will I ever be able to settle in clockwork Switzerland? Oh, so there are three things I need to become a french lady…son’t be punctual, check; help ourselves, ahem I’m too chicken for that, moving on…; what else? The trains! Still didn’t venture there. I’m happy with my bike. It’s handy. Ok, I’m rambling! Are you planning to move to Switzerland? Thanks for your lovely comment, Iris. oh no Cecile, I’m more interested in travelling the world. Living in many places excites and scares me. So, I would love to stay in Switzerland for quite a while. The idea itself is so dreamy. Yeah, 6 months is all it takes..but it’s a proverb. Love this brutally honest post. Over the years my hubby is more Canadian and I am more Belgian. For better and for worse! Brutally honest? I didn’t think it would come across that way but i’m pleased it did :-) Belgian/Canadian- what a cool mix! Good Post – I had great fun reading it. Hmm, I wish I could point you at several of my past posts for more info. I have mentioned them. So much concerning special needs’ students is confidential, yet, you are right, they are fascinating. I will have to work on that one. You know, I looked back at the first fifty or so posts and I really didn’t talk about my students much at school. I guess I really will have to do some posts. Oh dear! I’m with Nick–horrified by the thought of you stealing :) I love this story though! I am notoriously late for EVERYTHING, so I’d be a good French lady in that regard! Cécile!!!!! Ne fais pas de Nick un français!!!! :-P aahahahahah super anecdote ce matin, je repars avec un sourire aux lèvres… j’imagine son regard la première fois et le tien à la fin! ooooouuuuuuuiiiiiiiii! éloigne-le au plus vite! ;-) non pas que les français soient irrécupérables, mais certains de leurs vices sont effectivement très nocifs! Par contre, faire de toi une vraie Kiwi doit être sa nouvelle priorité! Luckily for the Swiss stores and unluckily for the fines budget of ZVV, you got a salary pretty soon ;-) But hey, just for the record, I’d like to say that not all French people are late and steal candy bars!!! My grand-uncle though, has settled down in Switzerland, and in the many many years he’s spent there (30 years? 40? I don’t quite know. I wasn’t even born then! ), he’s turned into a complete Swiss gentleman. He’s always on time, looks so confused when we crib about how expensive everything is, very politely requests for whatever he wants, and cringes at the crazy loud volumes that are so common to us. I’d love to visit India Mythreyi. I can totally imagine how your uncle turned Swiss after so many years in Switzerland. The place where you live gotta make you change your ways if you want to be part of it. So funny! I guess I’m proud of you. And of Nick too – they should have a sanitizer dispenser for your protection! Ripoff indeed. I’m curious how you fared in NYC with your French ways? I’m still learning to be on time and I hate it. Yay! Glad I made a comedy writer laugh! You’re right, they should have a sanitizer- of course. I don’t remember having any problems in New York being late… I was a student though; I guess it becomes problematic when you have a job. I think I ate in the supermarkets there as well and never got arrested. I always paid for my train tickets though- controls in the LLIR are systematic, there was no way to get around to it. Oh yeah, the trains are no joke. Maybe I should move to France or India. J’adore to be late. (I’ve exhausted my French). I love how honest (and funny) your writing is. Hum, I would be interested to read your stories about it! Very cute story :) I also really like the new look!